Gorgeous Custom home on almost half an acre in Apple Valley! 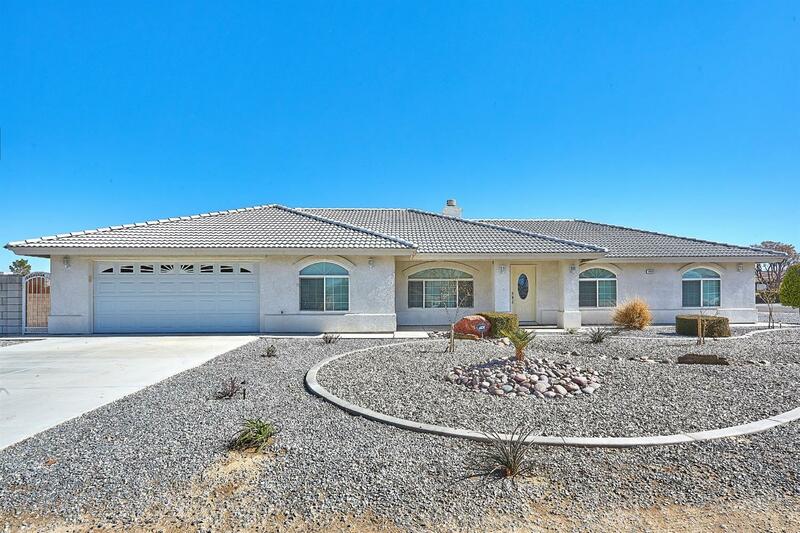 This home features RV Parking and drive through gate. Enter this lovely home through the formal living area to find beautiful tile flooring and cozy fireplace. Open family room and kitchen with granite counter tops. The Huge Master Suite features walk in closet and Master Bathroom with Dual Sinks, granite counter tops and separate tub and shower. Indoor laundry room has plenty of cabinets with granite counter tops and built in sink. Back yard is beautifully landscaped and is perfect for entertaining with covered patio that has both full coverage and lattice covering. Yard has block fencing both for the inner and outer yard. Oversized 2 car garage has room for all of your toys and features custom cabinets. This is a must see! !